A lot as changed in running the the past 100 years - especially the speed. The 1908 World record for the marathon stood at a relatively modest 2:55:18. 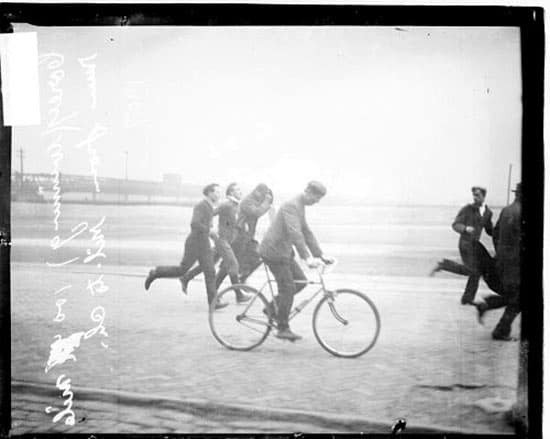 Heck, with a few more miles I think I would have a chance to make the 1908 US Olympic team. I'm just not sure I could handle the ferry to London. 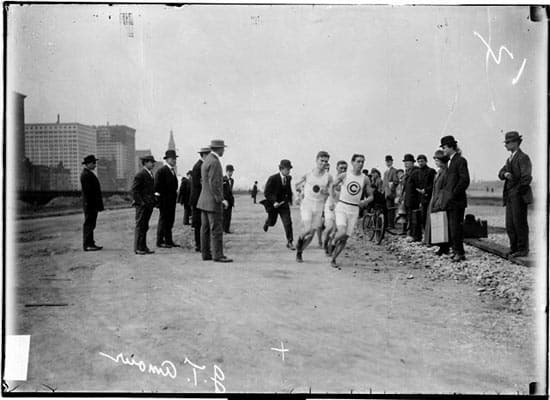 Marathoner Albert Corey and an unidentified runner race towards the finish line of a 100-mile race from Milwaukee to Chicago. Notice the outfits they're wearing. How would you like to go 100 miles in those shoes? 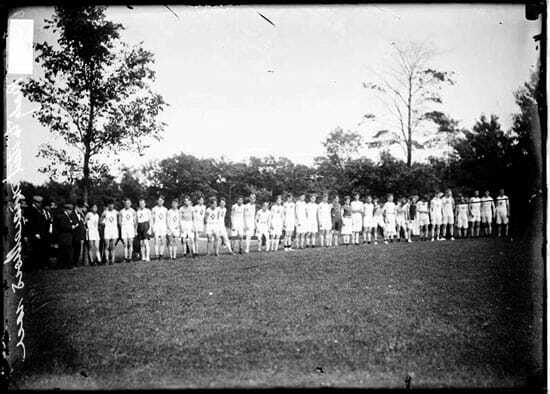 Marathon runners stand abreast on a field before the start of the 1907 Illinois Athletic Club Marathon. I wonder if those men on the left are planning to run? 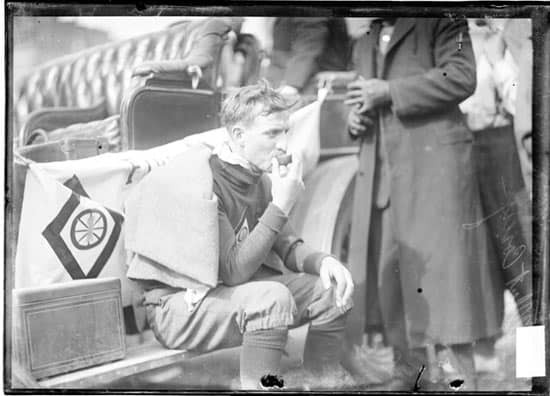 Albert Corey, marathoner, taking a fuel break. A spectator looks like he wants to join in. 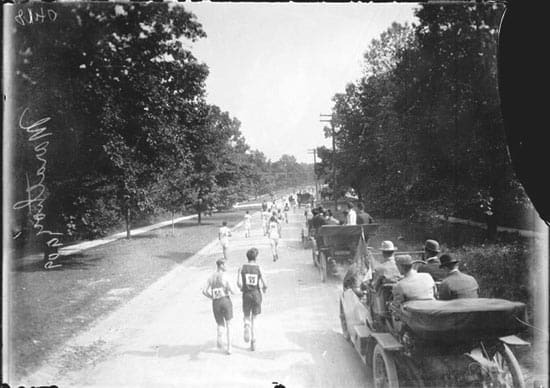 Athletes running along an unpaved road, beside automobiles. The athletes were reportedly very bothered by the automobile exhaust.